A solid has a definite shape. A gas does not have a definite shape. A liquid does not have a definite shape. 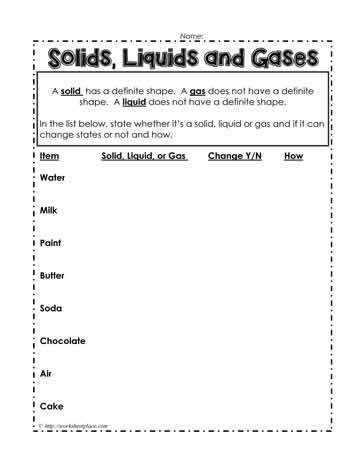 In the list below, state whether it’s a solid, liquid or gas and if it can change states or not and how. Determine what the following matter is:, water, milk, paint, butter, soda, chocolate,air and cake.